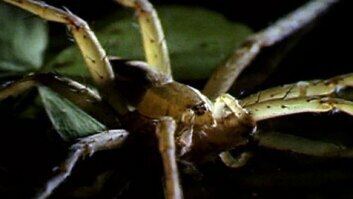 Deep in the emerald cloud forests of Cusuco National Park in northwest Honduras lives a critically endangered creature. The exquisite spike-thumb frog (Plectrohyla exquisita) is a charming ambassador for the park’s rich biodiversity and one of 16 different species of amphibians listed as Endangered or Critically Endangered by the IUCN. Some are found nowhere else on Earth and face a growing number of threats. 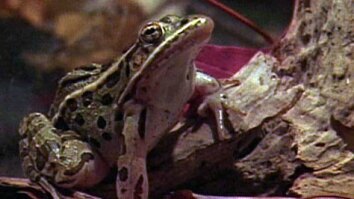 In addition to illegal deforestation and climate change, chytrid fungus—the now infamous disease that has decimated frog populations around the world—was discovered in the park in 2007. Scientist Jonathan Kolby founded the Honduras Amphibian Rescue & Conservation Center (HARCC), an organization that is working to both treat juvenile frogs infected with chytrid fungus and develop a breeding and reintroduction program for several endangered species to guard against extinction. But their efforts to breed exquisite spike-thumb frogs have revealed a puzzling challenge; despite 10 years of intensive field work in the area, scientists have never heard or recorded the species’ mating call—and recordings of these calls can be critical tools when it comes to inspiring frogs to breed in captivity. 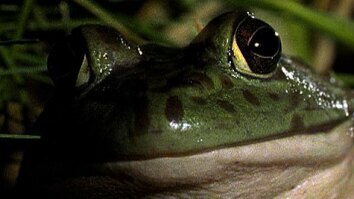 So, with the help of sound artist Ben Mirin, the team embarked on a quest to record the enigmatic frog’s call and bring its voice back to the lab. What ensues is both a delightful portrait of the process of scientific discovery and an inspiring example of the power of sound as a tool for conservation. Video produced by Katie Garrett. Discover more beautiful and surprising stories about nature and sustainability at www.biographic.com.